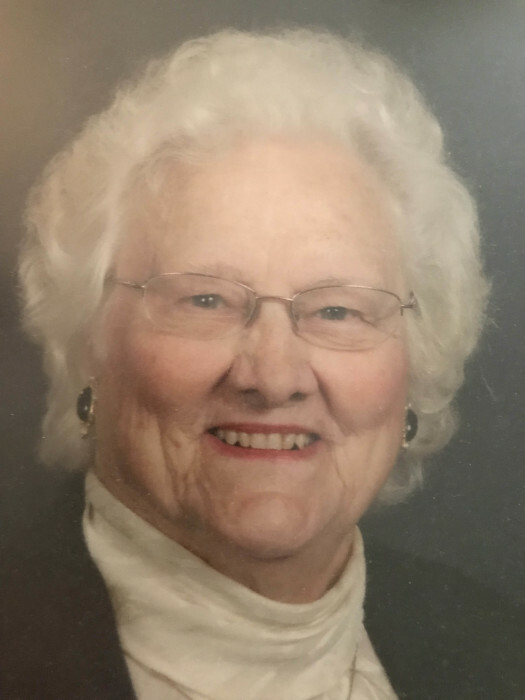 Alma Starling Johnson, 92, passed away Saturday, August 25, 2018 at her home. Alma was born in Johnston County on April 12, 1926 to the late Jesse Jasper Starling and Josephine Radford Starling. Alma was a devoted wife, mother and grandmother to her family as well as the many children she kept and cared for in her home. She was a faithful member of Beacon Baptist Church. The family will receive relatives and friends from 4:30 to 6:30 pm, Thursday, August 30, 2018 in the Cox Chapel at Beacon Baptist Church, 2110 Trawick Road, Raleigh 27604. A graveside service will be held at 11:00 am, Friday, August 31, 2018 Oakwood Cemetery, 701 Oakwood Avenue, Raleigh, NC 27604. Surviving: sons: Donnie Johnson (Sherrill) of Wake Forest and Ronnie Johnson (Suzan) of Louisburg; grandchildren: Chris Johnson, Kyle Johnson and Travis Johnson; great-grandchildren: Keagen, Kade and Chloe Johnson; sisters: Ruth S. Woodall and Martha Marie Honeycutt both of Selma; brothers: Keith Starling of Beulaville and Eugene Starling of Orlando, FL. In addition to her parents, she was preceded in death by her husband, Louis Arthur Johnson in 2005, brothers: Elnora, Thurman, Edward, and Kenneth Starling; sisters: Annie and Nannie Starling. In lieu of flowers, memorial contributions may be made to Beacon Baptist Church or The Salvation Army.